Starring Jessica Chastain, Charlie Hunnam, Tom Hiddleston, Mia Wasikowska. In an era of horror films attempting to modernize with video camera jump scares and found footage tropes, it’s refreshing to see Guillermo del Toro’s return to the tried and true Victorian haunted house setting. Cricks and creaks rattle among the dark hallways, shadows fall around creepy set pieces, and the house’s decrepit nature gives an overwhelming feel of death to proceedings whether they take place in light or darkness. But where the setting and performances shine, the plot and monster making that del Toro is so well known for suffer. The real surprise for this film comes from Jessica Chastain’s performance as Thomas’s creepy sister Lucille. I have never been overly impressed with Chastain’s acting before now; her mouth always seems to have a problem with showing any emotion or really moving at all and her eyes are normally blank and without depth. That being said, her living as a scary owner of the haunted house makes for some incredibly breathtaking moments. Forget the jump scares, Chastain IS the jump scare. Her normally dead eyes are steely and piercing, her set jaw this time reflects a woman on a sinister mission instead of someone bored with their character. There was many a moment where I would be perfectly relaxed watching Edith dig through the remnants of an old death rap masquerading as a house but curled up in my seat cringing as Lucille came around the next morning with a piping hot breakfast in one hand and a small (but still possibly devious!) butter knife in the other. Chastain’s performance will definitely keep movie goers on the edge of their seats. Crimson Peak itself is beautiful in a gruesome way. The house is falling into disrepair as haunted houses do, and in its disintegrating state, there is obvious beauty. A gaping hole in the ceiling allows for a constant inflow of leaves or snow depending on the season and creates for some beautiful visuals when the camera focuses on the main foray. The ancient architecture is also delightfully sinister; razor sharp pointed arches, rotten floors and cold steel rails clashing against hellish fireplaces are stunning in del Toro’s lens. Sadly, this is where the positives end. While the house itself may be beautiful thanks to its direction, the film itself is not. Save for one or two lackluster twists, the plot is very by the numbers as far as horror is concerned. A terrible tragedy forces a young naïve woman to run off with a handsome man who she just met a week ago, but hey marrying him sure seems like a good idea. The pair run off, with the man’s (again terrifying) sister to a house that screams (literally at times) “I am going to kill you if you stay here.” Seeing this location as a lovely nest egg for herself and newfound love the young girl remains completely oblivious to her predicament until it’s too late, blah blah blah you know the rest. The falling into these tired horror tropes are just the tip of the iceberg. Guillermo del Toro is famous for his monster making in his creations like Pan’s Labyrinth or The Strain. These creatures in his past productions are terrifying and not without character. In Crimson Peak, a film that is begging for this kind of creative treatment, it is almost as if the director said “You know that thing I am really good at? Let’s not do that k?” That may sound a bit harsh, but that is how blatant the lack of monsters in this film feels. There are a couple of creepy crawlies that prowl the edges of the plot but these creations are entirely CGI and while they do initially deliver a scare, they quickly become disappointing creations just because of how fake they look. 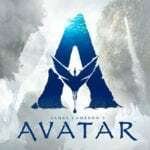 I get that not all films have the budget to make Avatar looking creations, but being in the technological age that we are, such shoddy work is inexcusable. Del Toro attempts to make monsters out of the actors on screen more than his normal creations, and while he succeeds to some extent, it would have been much better to see a greater number of his more terrifying creations of the paranormal. The location and grade A performances turn what could have been a rather unremarkable horror film into a scare worth watching. Sometimes the plot feels like it is wading through the mucky red clay that gives the hill its’ infamous name, hitting symbolism way too hard on the head and having almost no real surprises in store. There will be scares a plenty, but surely nothing for the history books. What could have turned into Guillermo’s love letter to a genre he is so well acquainted with sadly falls into irrelevance and obscurity amongst other better horror films. Crimson Peak is a ghost of its potential.